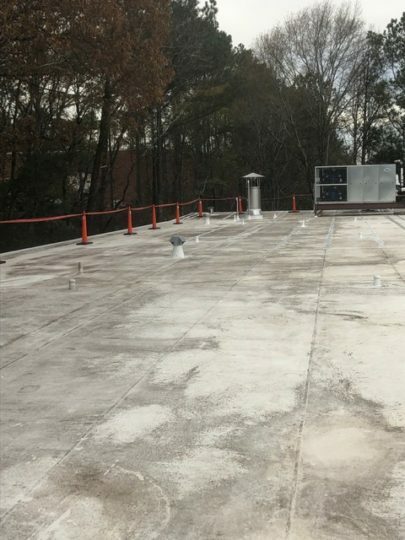 This popular and expanding Atlanta microbrewery simply could not have their operations disrupted by a re-roofing project. 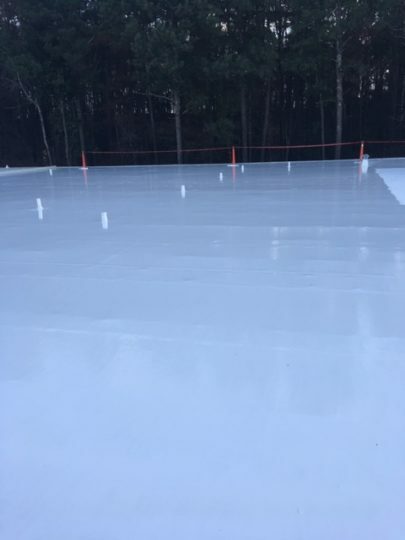 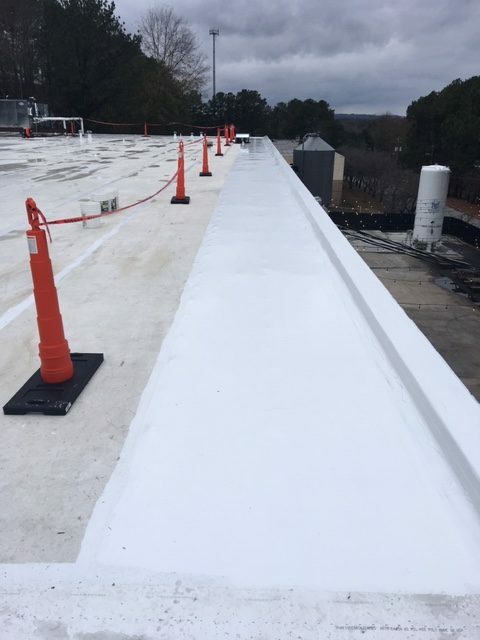 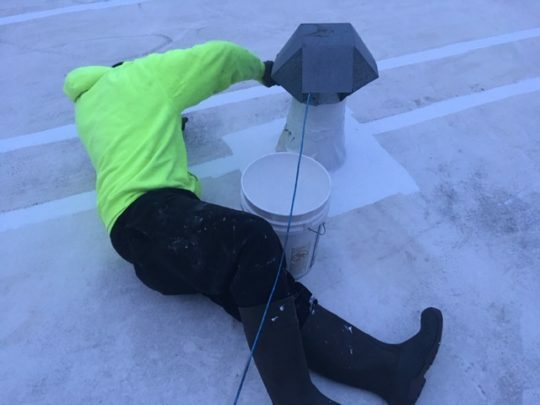 After a thorough roof condition assessment was performed, it was determined that the existing PVC roof could be restored using a silicone coating system. 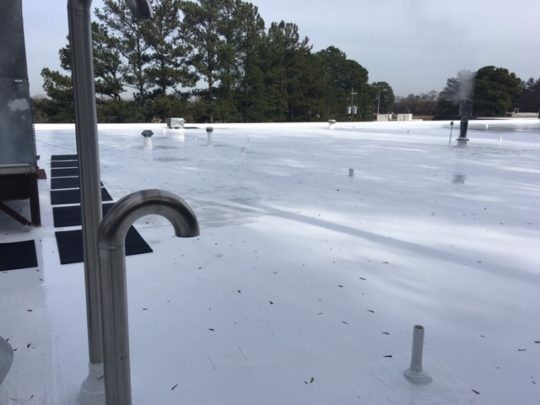 A high solids system was chosen and Innovative Roofing Group was selected as the contractor. 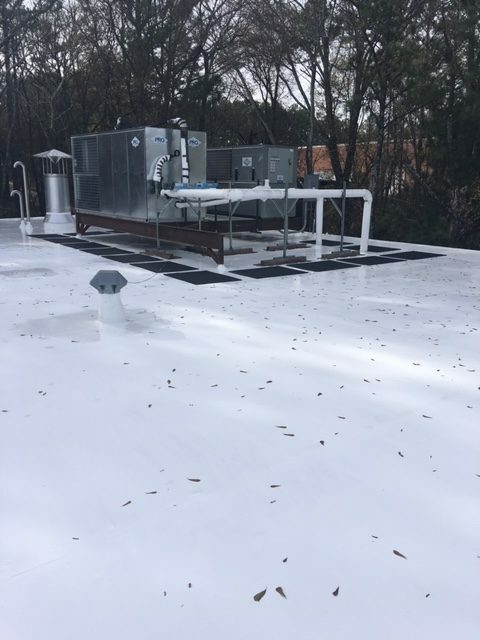 The owner received a beautifully restored roof, with a twenty-year manufacturer’s warranty that was installed over the 18,000 square feet in less than two-weeks, during the winter. 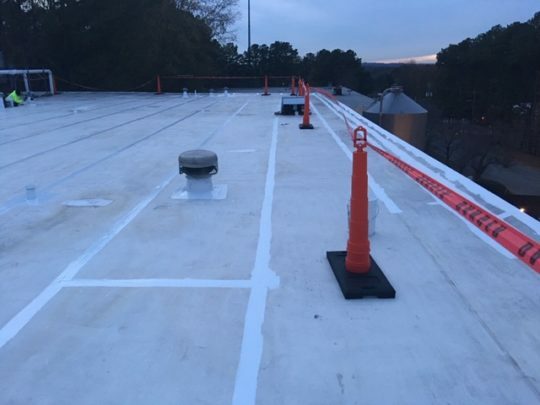 Best of all, the Brewery and Tap Room were able to remain operational without any interruption or the need for expensive internal protection throughout the project’s duration.